There is plenty to learn when you?re a beginner at stand up paddle boarding, so it is fairly daunting when you?re new to the sport. However, just like anything worth doing, it takes time and practice to get better at paddle boarding, so you have to be willing to put in the effort. 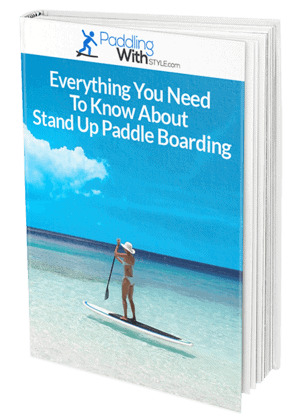 One of the key areas that concern all stand up paddle boarders is falling and stand back up on your board. While it might seem like the aim is not to fall off, even the most expert riders will still fall from time to time so it?s a matter of learning how to do it safely and effectively. 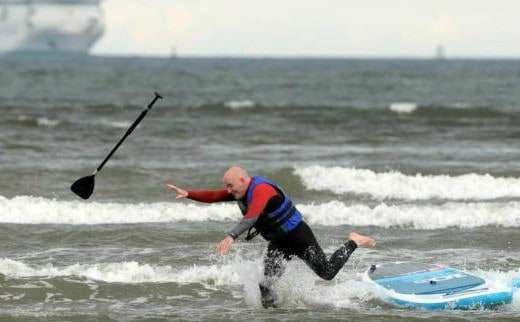 Just like a high impact sport where there?s a chance for injury, you need to learn the right way to fall when using your paddle board too. Here are a few tips for how to SUP and fall of that will keep you safe from injury and make it easier to learn. Never jump off your board unless you know how deep the water is underneath, otherwise, you could do serious spinal damage. Aim to fall flat as they do in surfing so there?s less chance of sinking, too. Always aim to do a pivot turn as you jump, giving you the best chance of a safe clearing. ?Try to fall to the side of your board rather than front or back, and never try to use your hands to brace your fall. ?Use the equipment that comes with your board like a leash so that you can easily retrieve your board, and use a flotation vest in case you become injured or fatigued while out on the water. Those who are new to stand up paddle boarding find the thought of falling scary, but it really doesn?t need to be. Learning the easiest and safest way to fall is a must have skill for all boarders, even those lucky enough to have had minimal falls in their time. Once you?re in the water, it can be a tricky feat in itself just to get back on the board. These are some of the best tips for getting back on your stand up paddle board when you?re already in the water. Check your surroundings before jumping back on in case there is a boat coming towards or harsh waves. Try to get on with the wind pushing you forwards, otherwise, you could flip over and fall again. 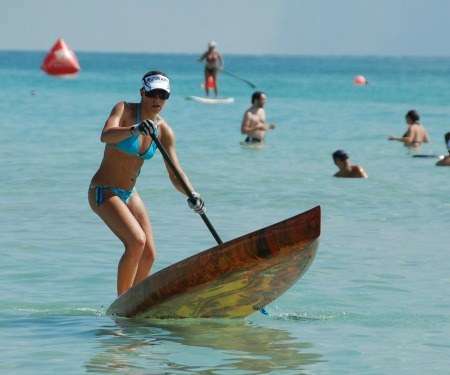 Position yourself in the middle of the board so that the fin is facing down and put your paddle up on the deck while holding it with one hand. Kick your feet behind you vigorously to give yourself some steam and then pull yourself up onto the board. Use a surfer?s wax on your board to make it easier to grip onto, particularly on the rails. It?s useful to learn how to perform a flip rescue move in case you are with others who need assistance and practice it in shallow water before heading out. If you can, try to relax during the process of getting back on your board. Sometimes when we?re panicked during this step it can make it hard to compose ourselves and find the balance we need to hop back on, so just take your time if you can. 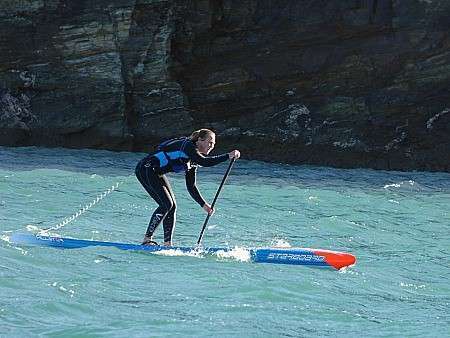 Ask anyone who?s been out on a SUP and they?ll tell you how they instantly fell in love with the activity, and something this good is definitely worth learning. Because there are so many dangers present in the water that we?re just not used to on land, being efficient at falling and getting back onto your board is the easiest way to ensure your safety. 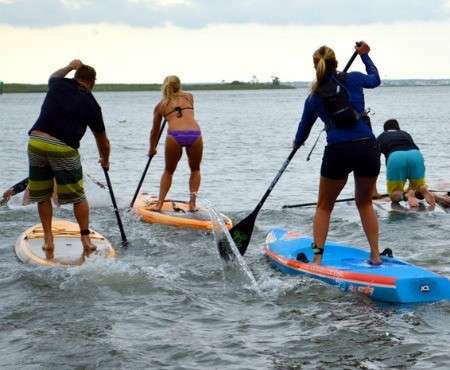 Some people might feel more comfortable attending a stand up paddle board safety class before heading out, otherwise, there are plenty of techniques you can try on your own. A bit of practice in shallow water for fall-off and get on methods is all you?ll need, and will give you the confidence that you can handle anything the open water throws at you.